So my OLD BANK was recently taken over by a NEW BANK. The process of working with and gaining the trust of all the old bank customers is going just GREAT (cue sarcastic eye). For example, if I try to access my account online, I can only see my account history since NEW BANK took over—basically ALMOST a month (real helpful if you’re a day trader but I’m not). When NEW BANK took over last month, they promoted kit glove Customer Service for those ex-OLD BANK patriots that were attempting to access their accounts on line for the first time. Well, here’s how their Noble-Peace-Prize-level of customer service works. So NEW BANK, since you’re kind of in the “numbers” and “math” business, do you think you could have worked a little harder on the X-divided-by-Y-multiplied-by-n-(the number of OLD BANK customers) minus zero (the number zero representing the number of customers that might NOT call for help the first 10 days) divided by n squared calculations that you used to determine how many international operators named Bob, Jane and Mikey to put on? 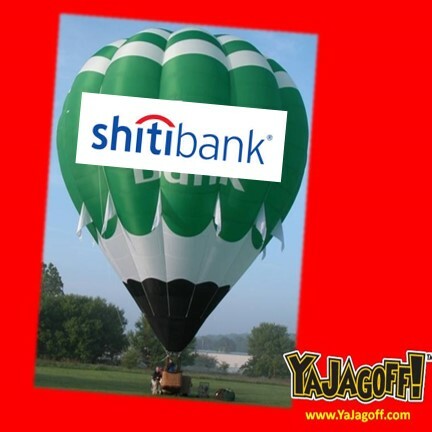 As a final note to the NEW BANK cheap-as-we-can-be-customer-transition gang, just in case you plan on also taking over the OLD BANK promotional hot-air balloon, we suggest you NOT try to save money by simply STAPLING an NEW BANK banner over the OLD BANK name, Ya Jagoffs! One Response to Bank Customer Service – NOT! I have a feeling we have the same New bank! They are the worst! Good rant!